The NorCal scene continues to dominate craft beer in California, and it seems like there are more special releases this spring than ever before -- with everyone from the nanos to the behemoths throwing their brews in the ring (or, you know, carefully placing them on the table). 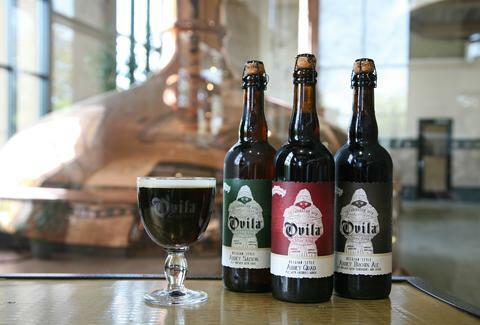 These 12 local offerings are special releases worth chasing down ASAP. 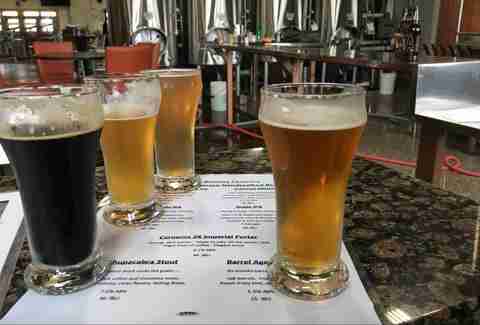 This brewery, owned by four brothers from Jalisco, Mexico, is not only brewing in Sonoma County, but growing their own hops on site. 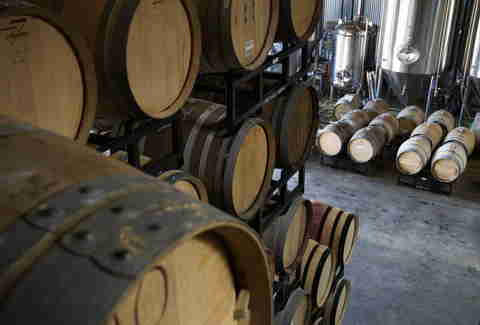 Their highly anticipated sour beers, including a blood orange sour, are just about ready to be sipped (they went into the barrels in September), so look for them in April at the brewery. Impatient? You’ll find some of their other beers at Hoi Polloi in Berkeley or Bi-Rite Market in SF right now. This light and crisp Lemondrop- and Mosaic-hopped brew is pouring fresh across SF. It can be hard to pick a FP beer (their “Wanderer” may be the best DIPA on the market right now), so, you know, just try all of them -- but be sure to catch this limited release while you can. These collaboration ales are shipping now. 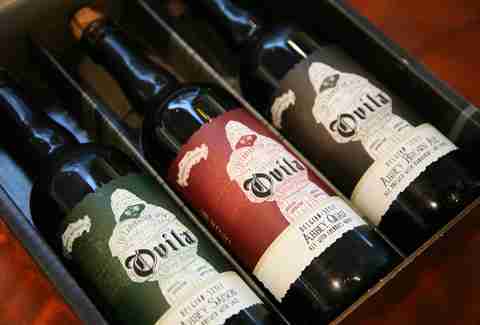 This series utilizes cherries, citrus, and sage, grown on the Abbey of New Clairaux’s 600-acre grounds in Vina, CA. The price point is a little higher, but remember, these are the big bottles. Epidemic hit the East Bay running last year by offering a number of popular beers right off the bat. In the coming week, they will release Red Plague, a malty red ale with a dry finish. If you don’t get out to Concord, there are a number of places in the Bay Area pouring their stuff, including Diving Dog in Oakland and Golden Gate Tap Room in SF. If you aren’t getting to Rare Barrel on a regular basis, you don’t truly understand how good these guys are. The latest in their sour lineup is the No Salt, a golden sour that’s been aged in tequila barrels. Sure, the name is a tongue-in-cheek play on the tequila, lime, and salt thing, but this sour beer is no joke delicious. If this soon-to-be-released stout is anything like last year’s batch (it poured light enough to float), you can order a locally-brewed black-and-tan that packs more flavor and pizzazz than the, ahem, more frequently found version of this concoction. PCBC is Oakland’s oldest brewery, located in a cool downtown that’s become a veritable hotbed of beer. The Kegslayer is the latest release in Cooperage’s rotating hop series. You have to visit the taproom for this gem, but it’s well worth taking a road trip to Santa Rosa. Belly up to the 40ft redwood bar (which the team here made themselves) and give it a shot. Sour fans, take note: this husband/wife duo will tap the barrels aging in the back of the brewery for you. SF powerhouse Anchor Brewing, which holds the distinction of being America’s first craft brewery, has just released the dry-hopped “Go West!” IPA in bottles and cans. 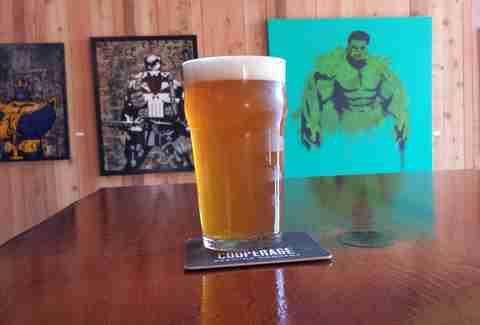 This smooth IPA is lighter on the hop end, but right in the IPA groove at 6.7%. Solid beer from a perpetually solid brewery. It’s gonna take a few beers to get through this election. HMB, our socially engaged brewery on the left coast, continues to connect your brain and belly with Alection 2016. These guys, who also sponsor a speaker series called “Brews and Views,” are getting set to release the Alection series soon -- just in time for some lively political discussions. This seasonal ale captures the California spirit of brewing, as they incorporate fresh, local ingredients like Valencia oranges and orange blossom honey). Almanac is making their mark with incredible sours, but this new release helps round out their portfolio, and joins the ranks of their other great beers. Courtesy of Fieldwork Brewing Co.
At this point, it might sound a little stupid to say that Fieldwork has a special release coming up, given that pretty much everyone thinks all their beers are super special. 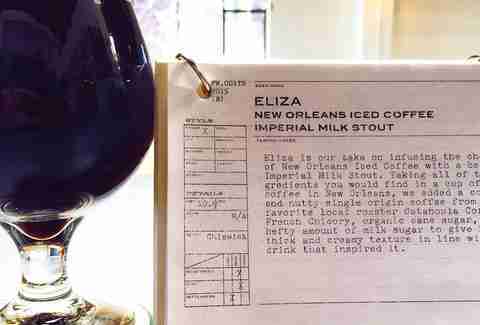 Nonetheless, Eliza, a coffee imperial milk stout will be flowing in the coming weeks, so watch for it. Legendary brewer Brian Hunt says that they are aging a new, unhopped beer as a nod to Finland, home of the Sahti style. Expect nothing less from Moonlight, who used redwood from their farm instead of the traditional juniper branches to brew this latest batch.